The Texas contingent of BMW owners heading to Colorado for Drive 4 Corners 2015 will be heading out from North Dallas and head towards Amarillo. Specific details are listed below, but the drive time is estimated at just over 13 hours and 819 miles. This route is a route our Caravan leader has taken many times before from north Texas to Colorado. The route will officially begin Thursday August 6th as outlined below. With the long distance needed to travel to the event, please review the route suggested below, and be sure to plan accordingly for the route, duration and length of trip. It is suggested to bring food and drink along so the caravan isn’t stuck trying to find decent grub. 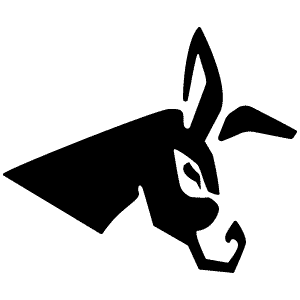 Contact the caravan leader in advance to finalize specific details. We plan to depart my home in North Dallas between 5:30am and 6:30am on Thursday, Aug 6. The first stop will be on the west side of Amarillo, Texas near Vega (just over 300 miles). I always stop at the Dairy Queen on Hwy 385 and I40. 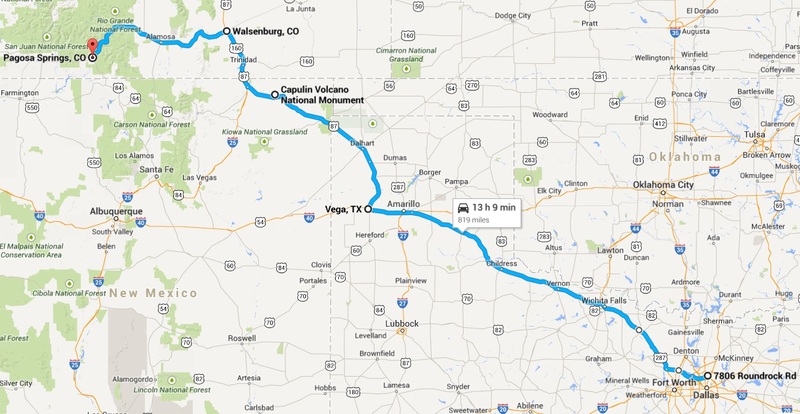 From Vega, we will drive through Dalhart, Clayton, and a few other towns to Capulin Volcano Monument in New Mexico. A paved path at the top of the extinct volcano gives us a place to stretch our legs on a nice easy hike that is a little over a mile up and around the rim of the volcano (20 minutes). From Capulin, we will proceed to Raton, New Mexico on Hwy 25 where we go up and over Raton Pass on the eastern side of the Sangre de Cristo Mountains. From Raton Pass on Highway 25 through Trinidad, Colorado to Walsenburg where we catch Highway 160 west to Fort Garland and the Great Sand Dunes National Park and Reserve. After the dunes onto Alamosa where we can stop at Chili’s restaurant and have dinner. The caravan will continue on Hwy 160 through South Fork up and over Wolf Creek Pass to Pagosa Springs and meet up with the Drive4Corners group. Here the leader (Aubrey) will break off at Hwy 149 for Creede, Colorado to visit his sister. The caravan will continue along 160 to Pagosa Springs.